The other weekend, I went along to the Garden Museum to see the current exhibition, Fashion & Gardens: Spring/Summer - Autumn/Winter. 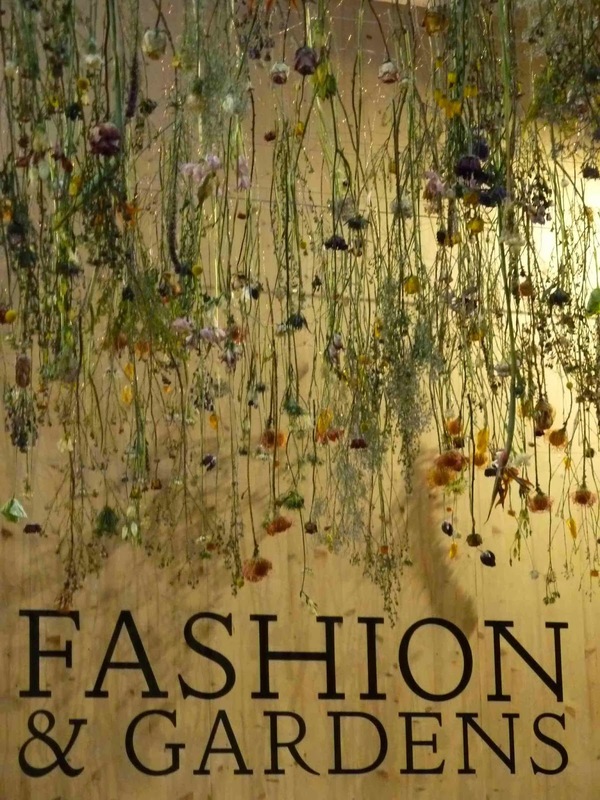 The exhibition traced the connections between garden styles and clothes fashion from the sixteenth century through to the modern day. As the blurb on the Garden Museum's website explains, 'Both gardens and dress aim to bring a sense of occasion to a season. Midsummer is more authentic if passed among organza and roses; russet velvet and gold-licked chrysanthemums concentrate our senses that autumn has arrived.' 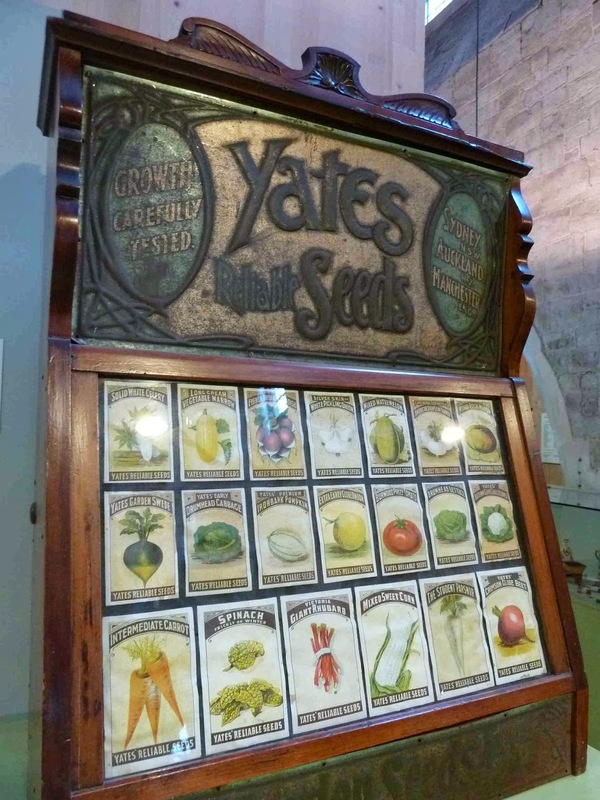 If you've followed either my posting of monthly personifications or my visits to Kew, you won't be surprised to hear that this exhibition immediately grabbed my attention. It was a very... shall we say 'compact' exhibition but it was fascinating and I feel that I came out having learnt a whole lot more than I knew when I went in. And the advantage of smaller exhibitions is that you ultimately take more time to appreciate each item. So what did I learn? I learnt about the correlation between the patterns in Elizabethan knotwork gardens and the patterns on their clothing and upholstery, demonstrated in the exhibition with the display of exquisite embroidery. I also learnt that, while floral patterns on fabrics were popular throughout much of the eighteenth century, there was a transition from sparser patterns to busier, more clustered patterns. So if I see someone in a period drama set in the 1780s, wearing a lightly patterned floral dress, I can now titter knowingly about how deeply unfashionable they are. One of the things that I found particularly interesting, as someone quite affected by colours, was learning how trends in colours changed both in the fashion world and in gardens. The introduction of chemical (rather than plant-derived, natural) dyes made all sorts of rich, vibrant colours possible in the nineteenth century. As methods improved, production increased and prices came down, these bright colours entered the middle-class and lower-class markets. 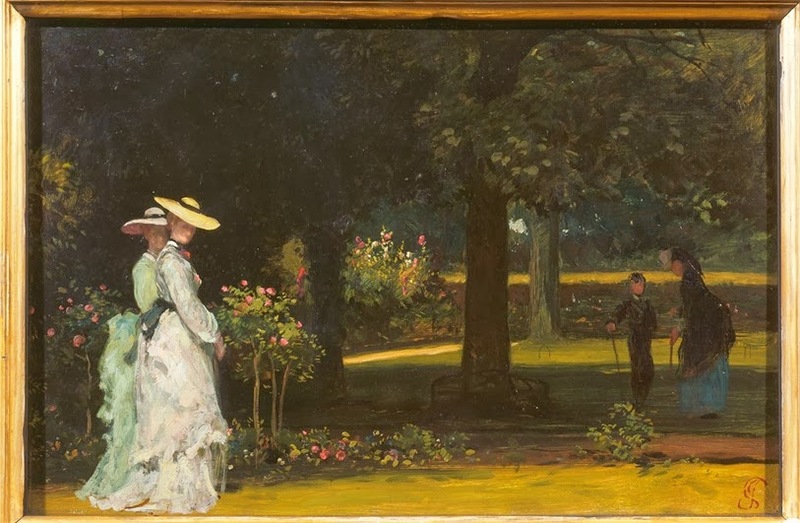 At the same time, the numerous new public gardens established in cities to provide the general public with green spaces within dense urban areas in the mid-nineteenth century were frequently planted with bright, hardy flowers. As a result, there was a backlash, and the upper classes made a return to soft, subtle colours for their clothes, achieved with natural, high quality dyes, while their private gardens and preferred flowers followed suit. 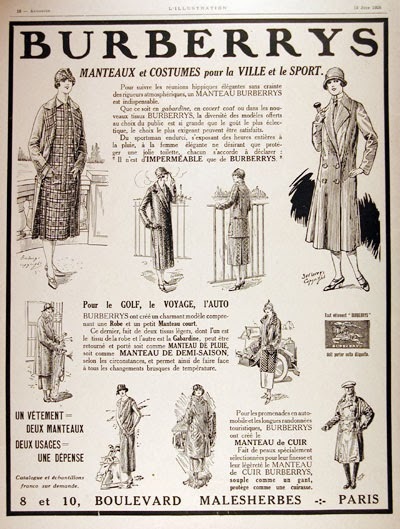 Also interesting was the development of garden fashions and country style, in which, as the exhibition proudly pointed out, the Brits lead the world (partly because of our love of gardens, partly because of our rubbish weather and the waterproof nature of garden and country wear, from Burberry macs, through Barbour waxed jackets, to Hunter wellies). This 'dressed down' style, which was still posh enough to differentiate the gentlemen from the labouring gardeners, began in the eighteenth century as a result of trends for connecting with nature, albeit in a highly controlled manner. Think the 'natural' but in reality highly structured Picturesque gardens with, for instance, cattle forming part of the vista from your French windows, but nicely kept at bay with a ha-ha so that they didn't actually come up and nibble and defecate on your carefully maintained lawn... Along with all this a slightly more casual 'outdoor' clothing style was adopted by the upper classes, to allow them to get down and dirty with a spot of poking around in the garden. Following the Fashion & Gardens exhibition, I had a wander around the rest of the museum. I've been here for talks and into the garden when the museum was closed for renovation a few years ago, but never properly explored the permanent collection. Again, it's small, but lovely. 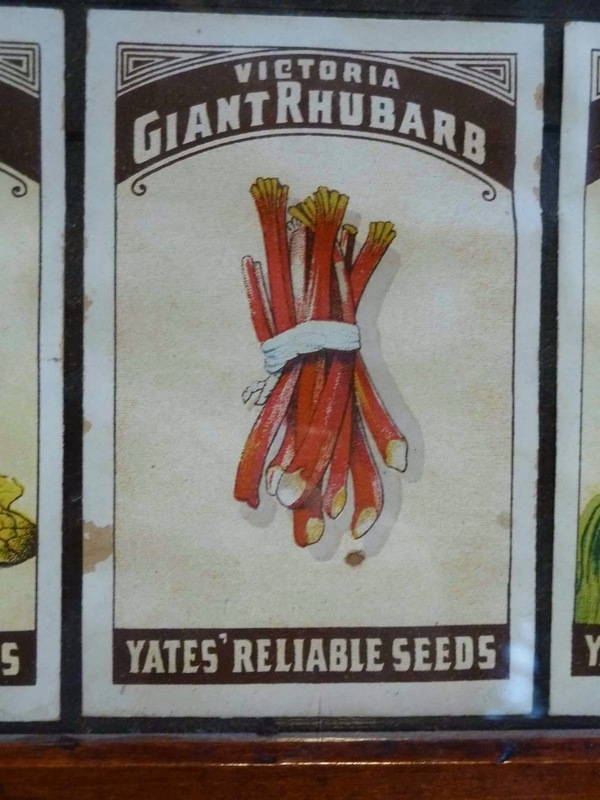 ... but the rhubarb is GIANT! 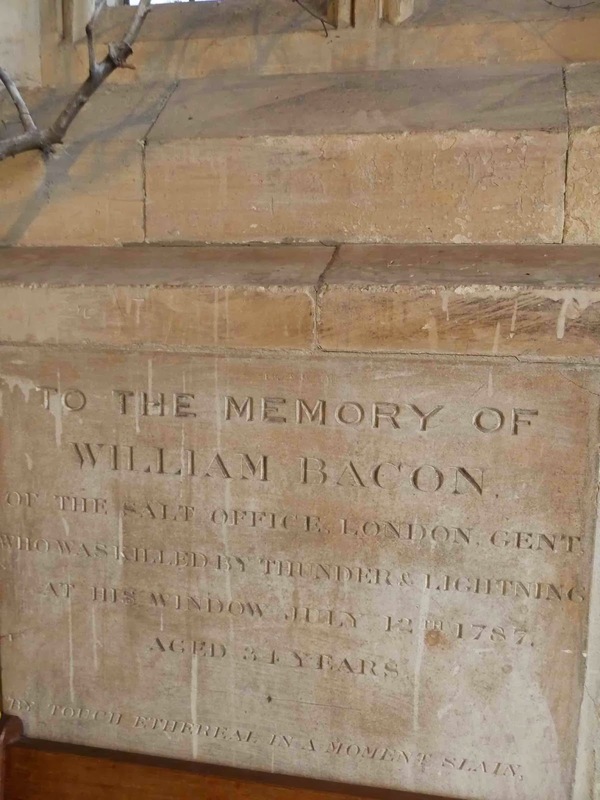 The museum is located in a disused church, and on the way out of the building I noticed the memorial below in the entrance porch. Unfortunately, the bottom of it was covered up but I was suitably intrigued - 'killed by thunder and lightning'? At the tender age of 34? There's got to be more to that story, surely? of the Salt Office, London, Gent. Fascinating! And very interesting! 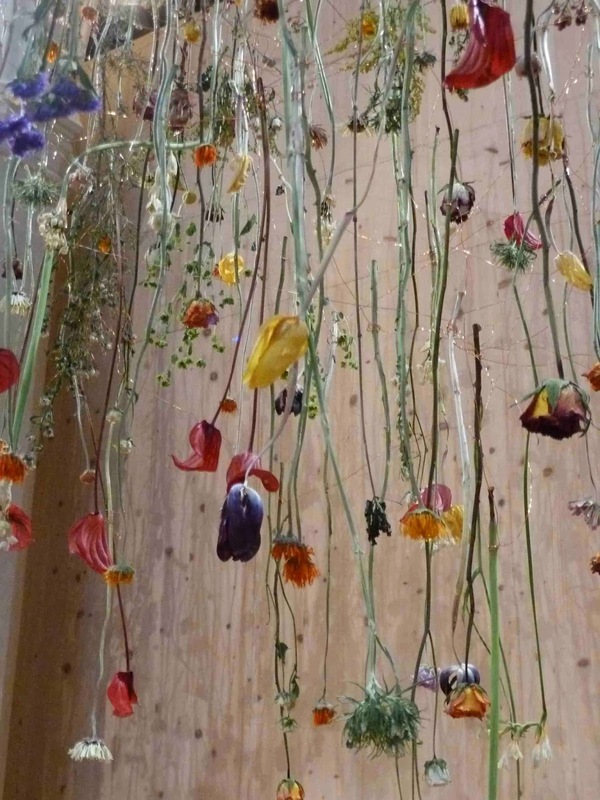 The hanging dried flowers are truly beautiful. 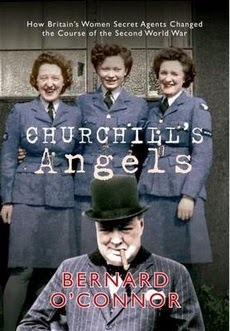 They reminded me of when I walked into a room with otherr ladies, ready to make bookmarks and cards from dried flowers. Our hostess ladies had been preparing for months and the sight of so many flowers carefully laid out on tables, brought sudden tears to me because I was so moved. I enjoyed your playful comments with the seeds too. Aren't they lovely? Hmmm… that is a sad and interesting memorial stone. Dear William will be pleased you noticed, I'm sure. Glad you found my little report back interesting. The dried flowers were absolutely striking - such a beautiful effect. I hope you got to make and keep something special from your dried flowers - though I would have had a tough time selecting, if I'd been you. It's definitely a sweet little place. Though in some ways it seems a little bit in the middle of nowhere, it's in reality only a short stroll along the Thames from Westminster - great on a lovely, sunny day. p.s. 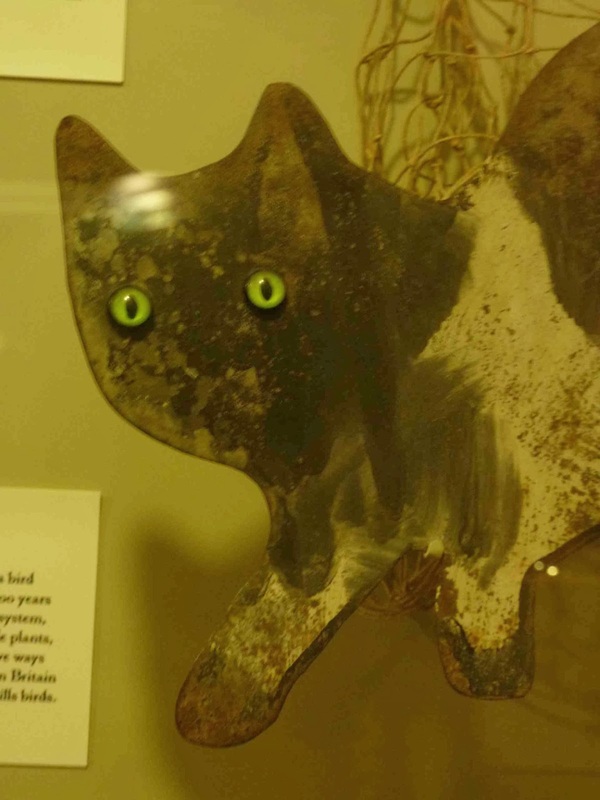 the blurb from the museum website, was very enticing and yes, absolutely in line with some of your previous posts. I'm very glad you found it! What an enjoyably lovely post! 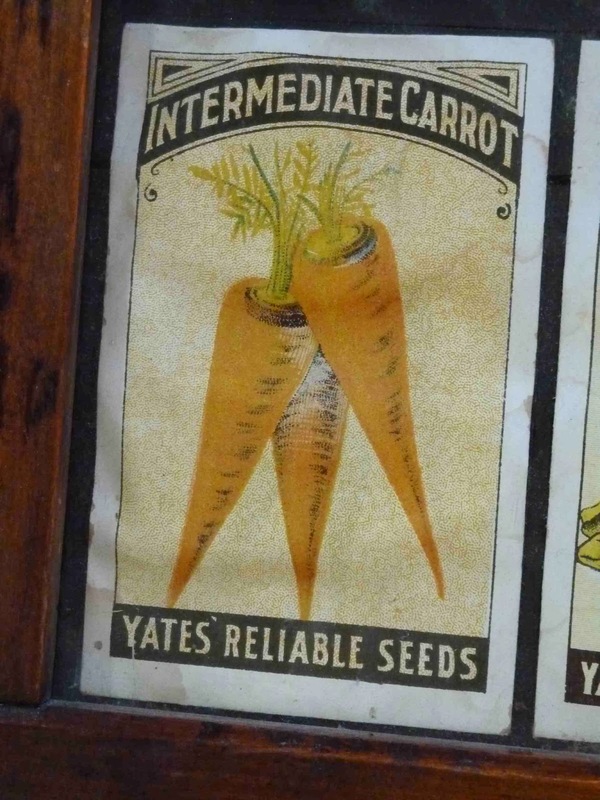 Those vintage seed packets really jump out at me. I love how vivid they still are and thinking about how many home gardens they (or, more likely, their peers, since these ones still exist to this day) helped provide nourishing food for all those years ago. 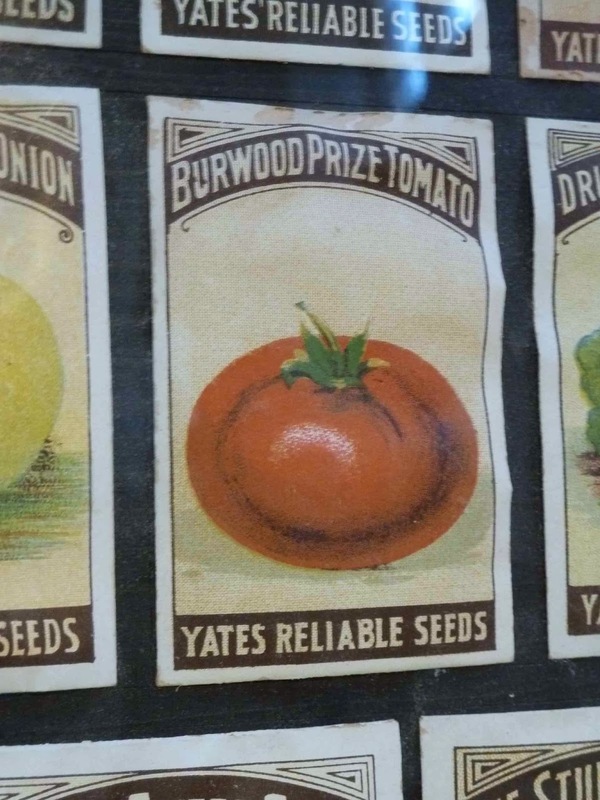 I think three was a great deal to be said in favour of when more of us still had home gardens and supplemented our diets and grocery bills with the produce we grew ourselves. The world - and likely our overall state of health - lost something as that practise declined greatly in recent decades. *PS* Thank you very much for your wonderfully nice comment on my New Look outfit post, sweet dear. just found you this days and spend them reading criss-cross - love your blog! Danke schön, Beate! Auch ich bin eine Deutsche-phile... except my German is terrible! I'm glad that you have enjoyed looking at my blog and hope you will continue to do so! What an incredible exhibit! 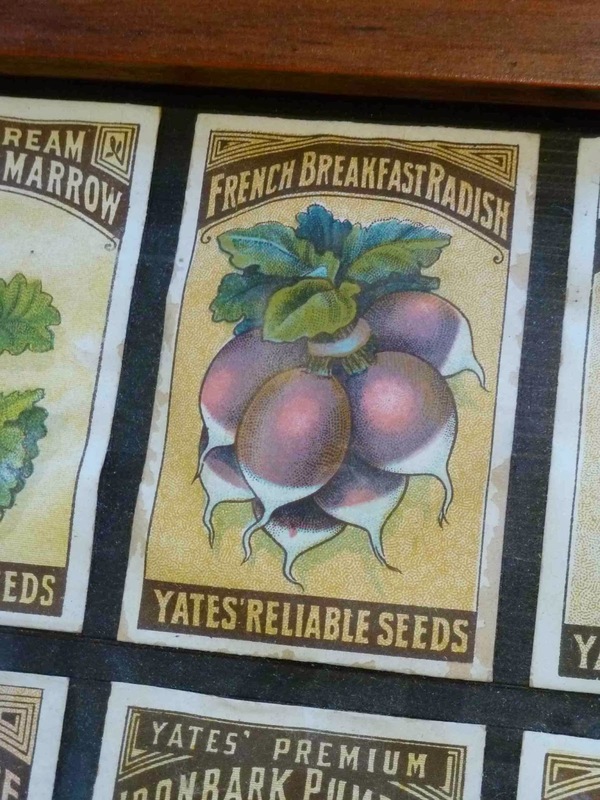 What you've shared about dyes is incredibly fascinating to me, never did I guess that there was such a link between trends in gardening and clothing but it makes good sense now! 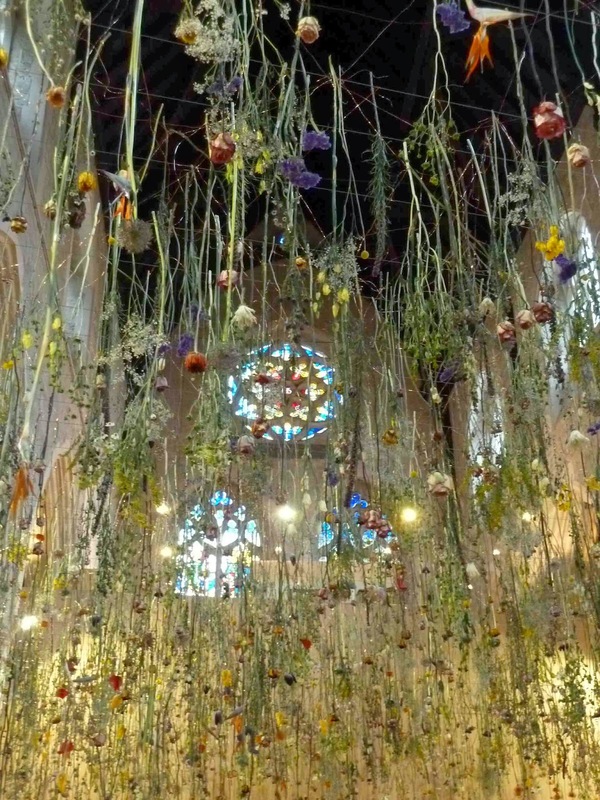 And those dried flowers.... with the stained glass peeking through, what a sight, truly inspirational! As a child I was always drying bundles of flowers and arranging them in my room, this definitely takes me back and makes me want to do so again (I'm also trying to think of ways to replicate this display, but think my beau might be a little upset if I start hanging hundreds of individual dried flowers from the ceiling of our house!). Ah, men, they just don't get dried flowers in the same way we do, do they? But I'm glad that this post has brought back memories, inspired you... and taught you something new too! I think you're excused - it's only a small place and I don't think it's promoted very much... and it's tucked away inside an old church so you wouldn't necessarily realise it was there, even if you went straight past it... In fact, I can't remember how I discovered it in the first place. I think I must have read something, somewhere. But I'm glad I did discover it. It has a lovely little garden with wonderful monuments in it too. Definitely worth a look. A comment to Kelly-Marie… It is probably somewhat swamped by the much larger Lambeth Palace, London home of the Archbishop of Canterbury, right next door!